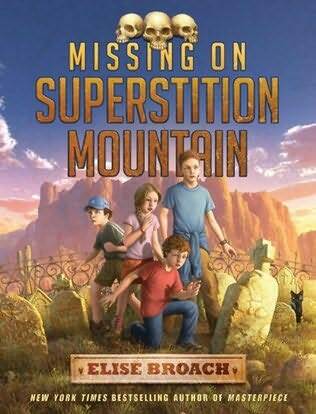 A legendary gold mine, mysterious deaths, and a foreboding mountain set the stage for a new mystery from bestselling author Elise Broach. The Barker brothers--ages 11, 10, and 6--have moved from Chicago to a small town in Arizona that seems like the most boring place on earth. Boring, that is, until they discover that the mountain they are forbidden to explore--appropriately called Superstition Mountain--is keeping some pretty big secrets. Searching for their missing cat, the boys stumble across three human skulls, and with their new neighbor Delilah, they set out to solve the mystery of who died, and how. Daphna Whispers is insanely gifted. At age two and a half, she composed her first sonata. At age eight, she completed an opera. And now, at eleven and three-quarters, she is orchestrating a piano rhapsody. They'd done it. Not only had Roz, Abby, Lance, and Thunder survived their first battle with a super villain, they'd defeated him. Krodin was dead, and they had saved the world. Now everything could go back to normal-good old, boring normal. School. Parents. Friends. But three weeks later, the world suddenly changes. The United States is under martial law, the people are little more than drones, and where Central Park should be there now stands a massive glass-and-steel building, home to the all-powerful Chancellor.